So you want to know the differences between Monk fruit and stevia. Maybe you have been wondering about the differences and similarities for a while and now you are finally ready to find out! Well, we will help you! This article will compare the two popular natural sweeteners and highlight the benefits, disadvantages and also health claims of each. By the end, you will be a sweetener expert and probably favor one over the other…so who will win in this sweetener showdown? Monk Fruit vs Stevia- let the games begin! Before even evaluating Monk fruit, we should take a look at what it actually is. Monk fruit is a small melon-like fruit, grown almost exclusively in Southeast Asia. It’s not particularly delicious and not typically eaten like other fruit. Even in its native location it is not considered to be a popular choice for consuming. Besides having no particular appetizing taste, the weird little green orb doesn’t store well, unlike squash or other melons. It goes bad quickly making it had to export and not necessarily worth the hassle of working around it’s quick expiration date. So, rather than be consumed like a regular fruit, monk fruit has been used for traditional medicines or teas. It is also not typically used fresh but rather is processed and dried. Lately, Monk fruit has gained some traction and developed a new following outside of Asia, because of the remarkable fact that the extracts of the fruit are about 100-200x sweeter than sugar while having no carbs, sugar, or calories. Whoever made that discover was a genius! Thanks to this amazing natural sweetening power and the incredible health claims Monk fruit can make, it’s honestly a fantastic sweetener for those pursuing a lower carb, ketogenic, or diabetic meal plan. Though the US FDA does not yet have a ton of data on it (classifying it only as “generally recognized as safe”), Monk fruit has been cultivated and used in China since the 13th century, which should indicate that it is a safe and healthy food to eat and used. Various companies in the United States have sold it as a sugar-alternative sweetener since 1995 as well and it’s becoming more prevalent as cultivation increases and people become more exposed to the fruit and it’s sweetening abilities. That said, however, it’s still not exceptionally common to find in stores, at least in its pure form, and more often is mixed with dextrose or some other sweetener. That may change in the coming years as more and more people look for pure Monk fruit to fill their sweetening needs while sticking to their diet plans. Monk fruit extract does not impact blood sugar levels which is an especially important fact for people who are diabetic. This is essential to know as some sugar alternatives will still raise blood sugar, which then creates a corresponding rise in insulin levels, and no matter what, this is something you likely want to avoid on keto (and if you have diabetes as well). Some older, artificial sweeteners have been potentially linked to disease (like aspartame which has been studied for years due to its possible links to cancer). Monk fruit is completely natural and there is nothing in current or past research that indicates it might be unhealthy. Since it has been used for hundreds of years, this history also speaks volumes for the sweetener. The mogrosides that make up the monk fruit extract and give its characteristic sweetness are also antioxidants. Antioxidants are great for minimizing free-radical damage to our bodies, and that’s a pretty sweet bit of information! SO not only are you getting an amazing sweetener but you are also consuming a beneficial antioxidant! Because of the fact that the monk fruit extract is dried, it is very versatile, coming in liquid, granule, and powder forms with no loss of sweetness or efficacy. Monk fruit is also shelf stable in many of its forms and has an extended shelf life meaning it won’t go bad in a few days. While the pros of using monk fruit are pretty good reasons to utilize it as a part of your low carb diet, there are some disadvantages to using it as a sugar substitute. Monk fruit has been reported as having an unpleasant, overly “fruity” aftertaste. While a lot of sugar substitutes have a bitter aftertaste, that can often be masked. Monk fruit kind of stands out and if you don’t like the aftertaste, you might never like it. Of course this is a matter of opinion so you should still give the sweetener a try and decide on the taste yourself. Again, as we said before, it is currently difficult to find in its pure form. More often than not, what you find in the store is mixed with some less desirable sweetener, like dextrose or maltitol. The fact that pure monk fruit is not readily available to consumers makes it less appealing. It can be cost-prohibitive since it’s difficult to grow and must be imported. This makes even blends somewhat expensive. Though monk fruit is a natural alternative to sugar, it’s still not been scientifically studied very much. While it’s likely safe, there’s just not very much conclusive evidence one way or the other. As popularity grows, it should be researched more and true nutritional facts will become available. There is some evidence that though there are no calories in monk fruit extract, the mogrosides that gives its sweetness can stimulate insulin production. Though the effect is minor, and it’s considered a low glycemic food, it’s still worth noting if you’re diabetic. Stevia, as a sweetener, is a refined version of the leaves of the stevia plant. Stevia plants themselves are considered to be herbs. Stevia has a long and sordid history with the Food and Drug Administration, which has yet to approve whole-leaf stevia as a food additive. The FDA cites the leaf or grossly refined (meaning just barely processed) extracts as unsafe, stating they could affect blood sugar and potentially harm various organ systems. All of these statements are possibilities and have yet to be firmly proven though. The FDA has approved the use of a very specific stevia extract called Reb A as a sweetener which is why you are able to find it in stores in the United States. Despite the fact that stevia leaf has been used in teas and as a sweetener for hundreds of years, there is still this opposition, and it’s worth considering when you are investigating a sugar substitute. 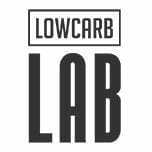 There is likely very good research behind the FDA claims and, as of now, it is up to you to decipher the findings and make your own conclusions. 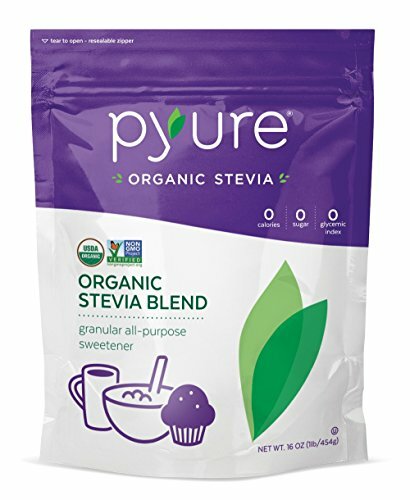 It’s also worth noting that any sweetener you buy that calls itself “stevia” isn’t actually pure stevia but that Reb A extract. It may sound like splitting hairs, but to the FDA, it’s a world of difference. Reb A is safe, real stevia is not. Stevia is 200-300x sweeter than sugar, so a little goes a long way. Just a pinch in a cup of coffee and it will be sweet enough for anyone! Stevia extracts, as long as they’re not mixed with actual sugar, don’t raise blood sugar levels. There’s also evidence that they have a therapeutic effect on your body’s insulin response. Stevia has been used for so long that it’s been perfected in liquid, powder, and granule forms and you can find it in stores across the country in all of the forms. However, each various form of stevia has its own uses and levels of sweetness. The powdered extract is much sweeter than the liquid form for example. Each form works best in certain applications and less effectively outside of those applications. So, while one form may be great in cookies, it may not be good in your tea or coffee which means it can be trial-and-error to figure it out for yourself. Stevia has a sort of licorice taste that can get removed when it’s refined, but sometimes it still persists. That odd taste, coupled with the fact that is does have a bitter aftertaste, can be a turn-off for some people. This is also why it’s often blended with sugar or another keto sweetener, to cut this bitterness. This taste will offend some but not others so don’t let this fact stop you from giving it a try. It can definitely have a negative gastrointestinal impact for some people, including stomach discomfort, nausea, gas, bloating, and bowel issues. When you begin consuming stevia, it is a good idea to start by eating just a little and working your way up to a normal amount to see how your body reacts. Natural, pure stevia extract can be expensive. Again, if you’re not observant, a lot of what’s available in commercial grocery stores is blended with other sweeteners or a lesser amount of sugar. Read labels carefully! Consider ordering pure stevia from a specialty source so that you know you’re getting the real thing. One strange side-effect is that people who are allergic to plants in the same family as stevia are likely to have allergic reactions from even the refined stevia sweeteners. Plants in this family include ragweed, daisies, and sunflowers, among others. Skip stevia is you have severe reactions to any of these plants! Which is Sweetener is Right for You? Determining which sweetener is right for you is almost entirely trial-and-error. Monk fruit vs stevia is a good place to start with finding your perfect sweetener because both are natural and calorie-free, and both have largely the same disadvantages. 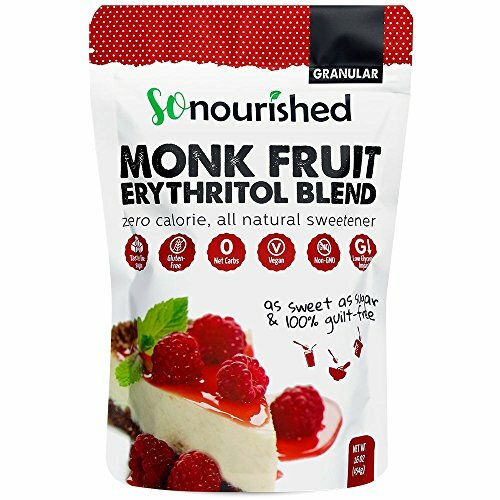 Assuming you’re not allergic to stevia, it’s going to be more widely available than monk fruit, which is certainly a benefit. You want to be able to get your sweetener when you need it at the store rather than struggle to find it! Another beneficial comparison is to consider that with baking, monk fruit sweetens better but can add that fruity aftertaste that might not be appreciated if you’re making a vanilla cupcake or something else decidedly not fruit. Stevia is better for things like your morning coffee, where the bitter aftertaste is going to be negated by the bitterness of the drink itself. Alternative sweeteners are incredibly important to get people to stop overloading their bodies with sugar. You don’t need to consume artificial sweeteners when there are so many great natural resources available. 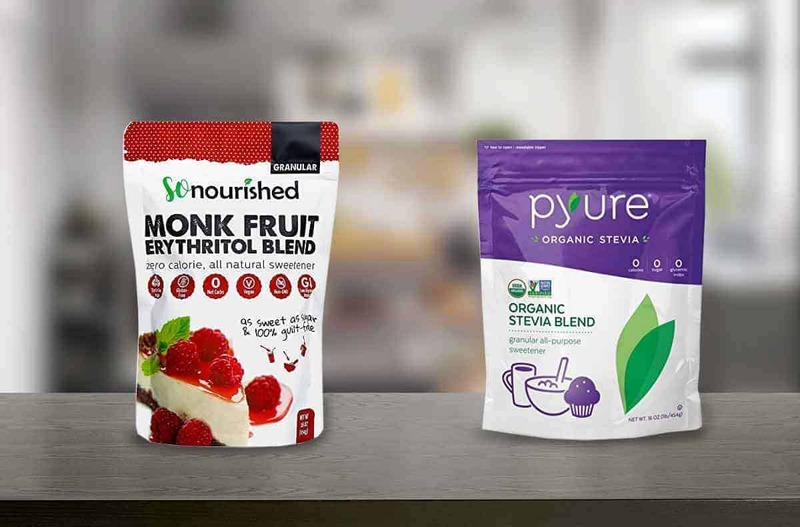 You will need to give each a try and find the one that works best for your tastes, but stevia vs monk fruit comes down to a handful of things like availability, aftertaste, and whether you can get it in its pure form. The healthiest sweetener is likely to be one of these two, so either one can be hugely beneficial in your transition to a healthier, lower carb diet.